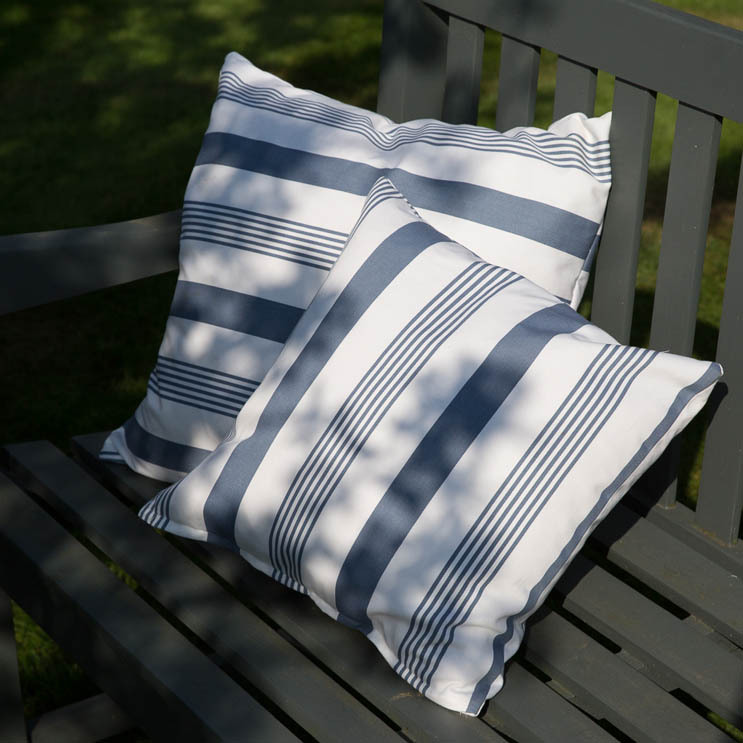 Cushions made for the outdoors from our soft wipe clean matt oilcloth in our Pavilion ticking stripe in Blue Slate,Blue or Taupe or our delicate sprig Cotton Lavender design in Blue (sold out) or Stone – ideal for picnics, trips to the beach, or relaxing in the garden. 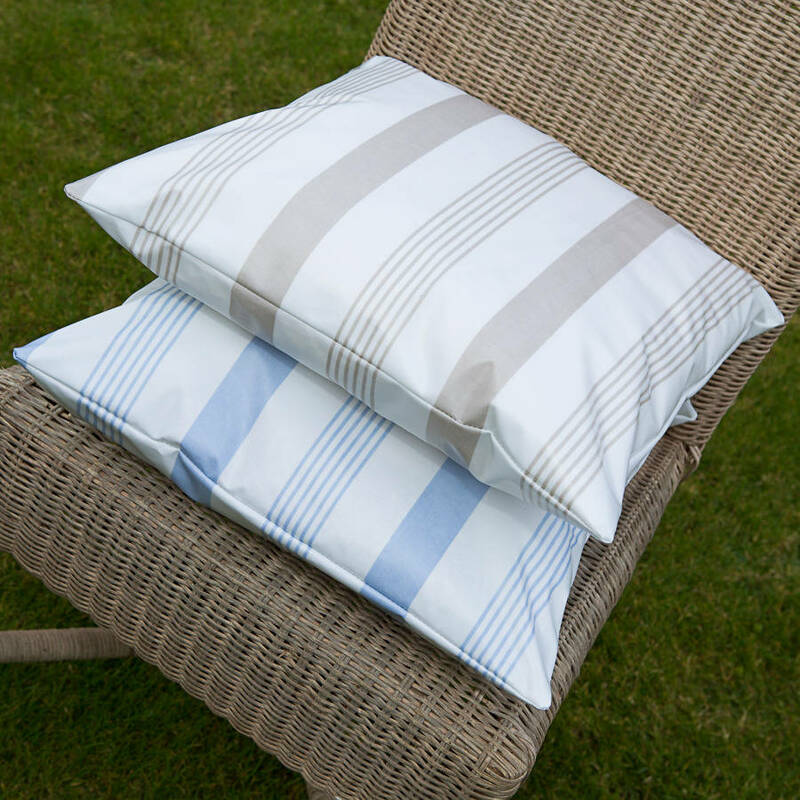 The soft matt wipe clean finish with a waterproof inner lining will prevent cushions from getting ruined in the rain and protects against stains. 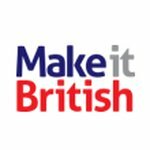 We do recommend however that the covers are wiped dry at the end of the day and not left in the damp. 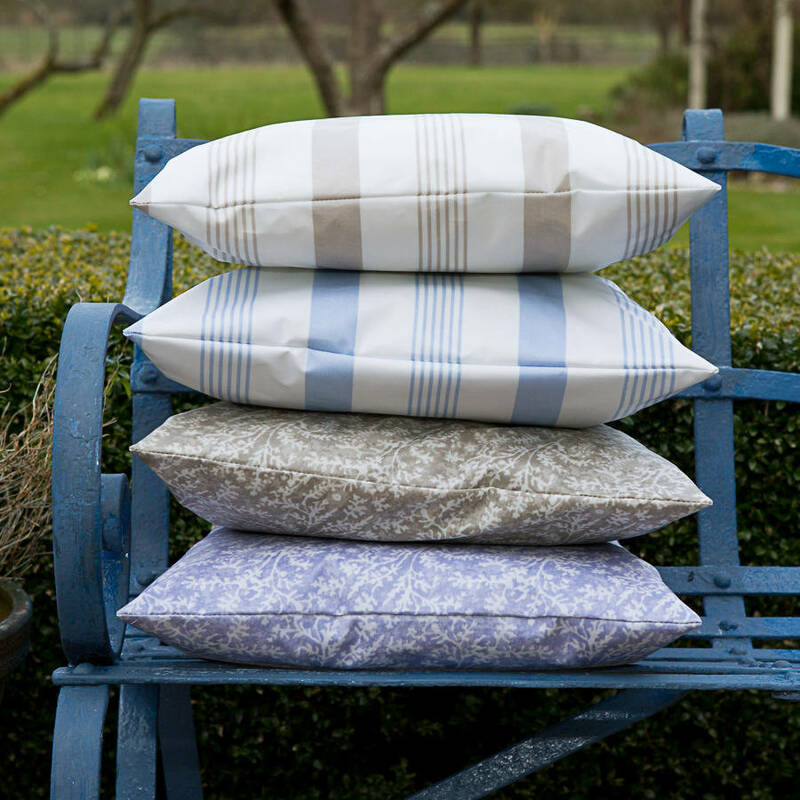 We do recommend that the cushions are wiped dry at the end of the day and not left in the damp.